Why not send a note for the visitor's messages page? 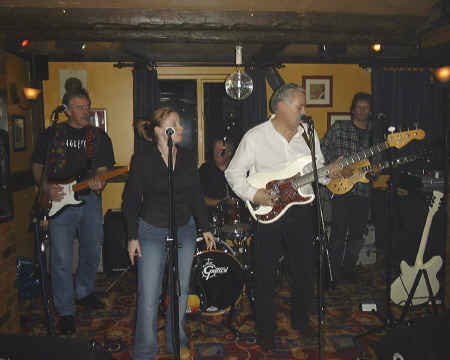 Come and enjoy the entertainment on Friday evenings at the Station Pub, as did the dancers, pictured above. A warm welcome awaits you. Butterscotch perform their hit "Don't You Know"? 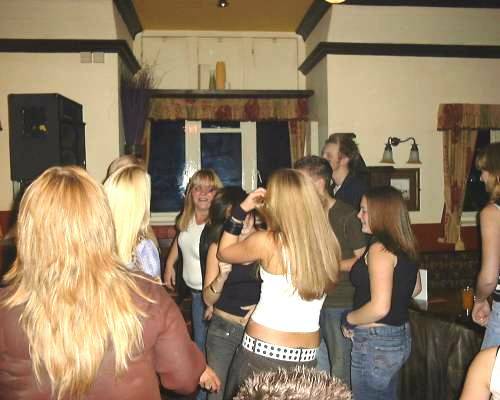 Mike Irving (gtr), Chris Stewart (dr), Rob Ford (partially hidden kys/vx), Ian Adamson (bs/vx) and Chris Gledhill (gtr/ld vx), pictured entertaining a packed audience at the Station Pub on Friday 24th October 2003. Occasional live music at weekends. The Station Inn staff are waiting to give you a warm welcome. © Copyright Coda 2003. All rights reserved worldwide.